This will be another short and simple tutorial due to my current schedule. 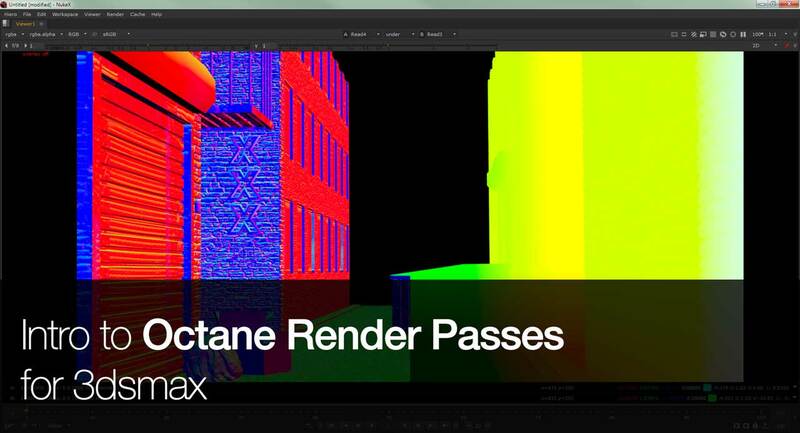 While I love to do an in-depth tutorial to setup the right render passes approach using Octane Render for 3dsmax, I think I will be covering the critical stuff that anyone who is still new to Octane Render pipeline. Basically Octane Render is an unbiased physically based renderer that uses the power of GPU (currently support Nvidia card only) to accelerate the rendering speed at really really fast speed versus CPU-based renderer (I’m looking at you, Mental Ray). While there is a GPU version of Mental Ray aka iRay, I still find it to be slower than Octane Render IMHO. After trying out Octane Render back in late 2013 through their demo plugin for 3dsmax, I promptly purchased it after realising the quick visualisation of the render in progress helps to reduce the potential trial and error when setting up a scene for the final render. Although there is a student version available for free, the version is really old (1.20) and I recommend getting the paid version to enjoy the new features such as more options to fine tune your rendering quality (for more faster rendering time) and also render passes which is the topic of this post. I’ll be covering the essentials passes that proves to be really useful for post-production aka the final compositing in Nuke. 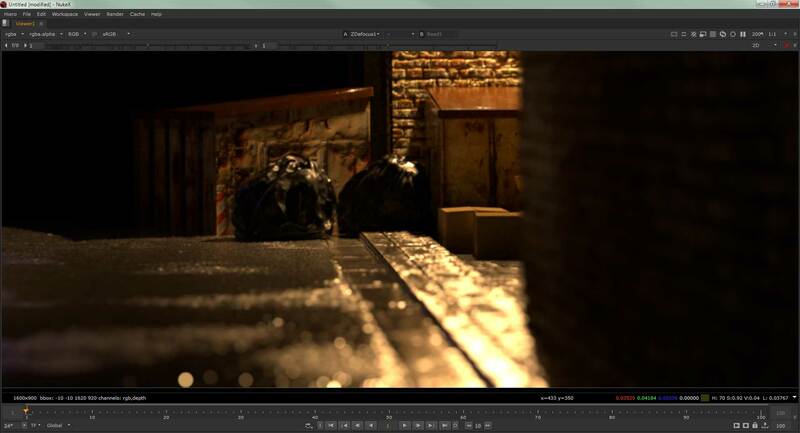 Above is a screenshot of 3dsmax of my current short film project that I’m still working on (for demoreel purpose). 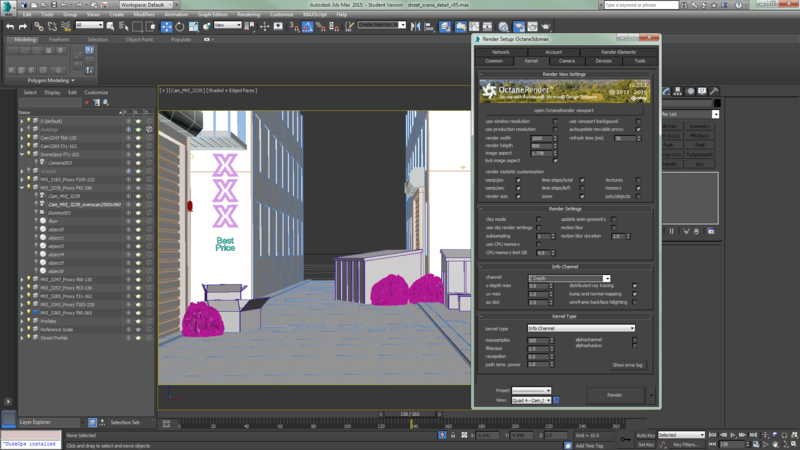 Nothing much to see except to show how Octane Render look like in 3dsmax’s Render Setup. The problem here is that the Octane Render for 3dsmax is still buggy (I’m using the latest version of 2.21.1 as of this writing) for the render passes that is setup through the render elements. For unknown reasons, the render passes that is output through the render elements will always get TONEMAPPED. This causes the information to degrade to at most 16-bit half float (what I think and remember, this is me pulling that theory out of thin air). 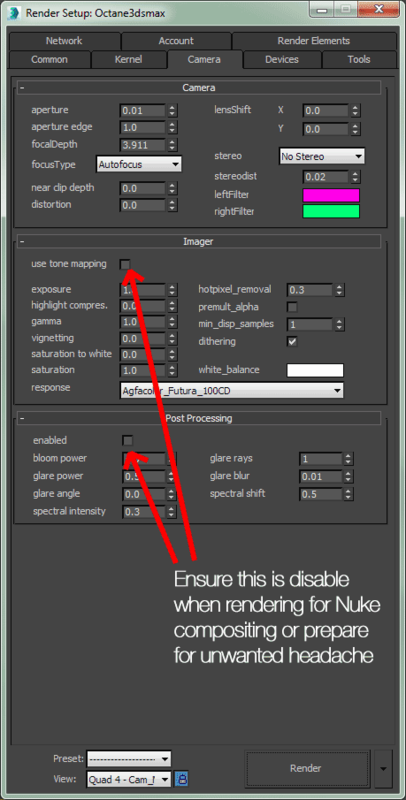 So you can’t really use the render passes for critical compositing task in Nuke like ZDefocus and Relight. 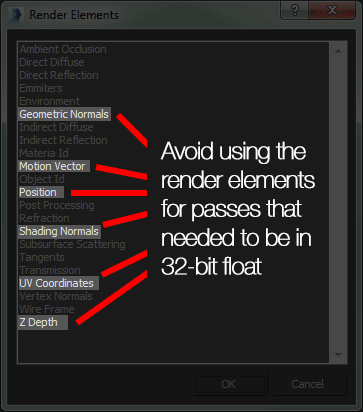 I already highlight the render elements that you want to AVOID if you want to automate your process through the Render Elements tab. Others should be fine and surprisingly some of the render elements is not available through the Info Channel approach. Also take note that the render passes is accessible through the Info Channel kernel which you can find under the Kernel tab. Don’t forget to disable both Tone Mapping and Post Processing when outputting any render elements. Fail this and prepare to waste your time re-rendering again. 1) With a ZDepth pass, you can use it to create a realistic depth of field effect using the ZDefocus node. 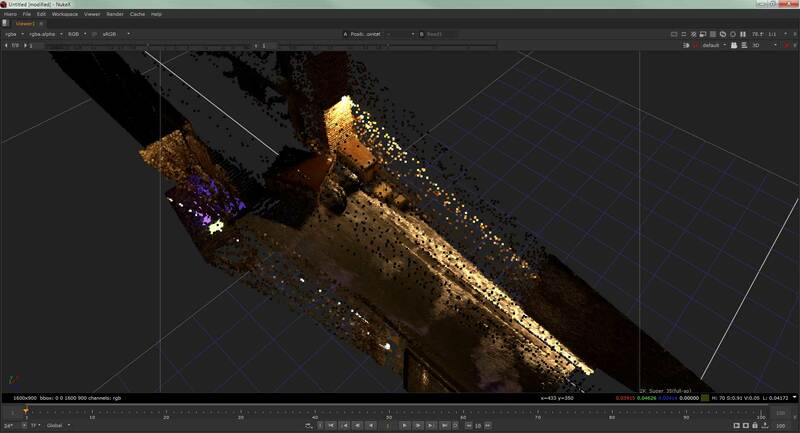 2) Both the position and normal passes allows you to Relight the scene and as shown above, using the Position to Points node to visualise the scene in Nuke 3D space. As usual, I will attach the script into the post and you can download the ZIP file of the render passes here. format "1600 900 0 0 1600 900 1 "
file "N:/Cheah Matte Painting/Render/Test/Octane_3239_Untonemapped_Z Depth.exr"
file "N:/Cheah Matte Painting/Render/Test/Octane_3239_Untonemapped_Shading Normals.exr"